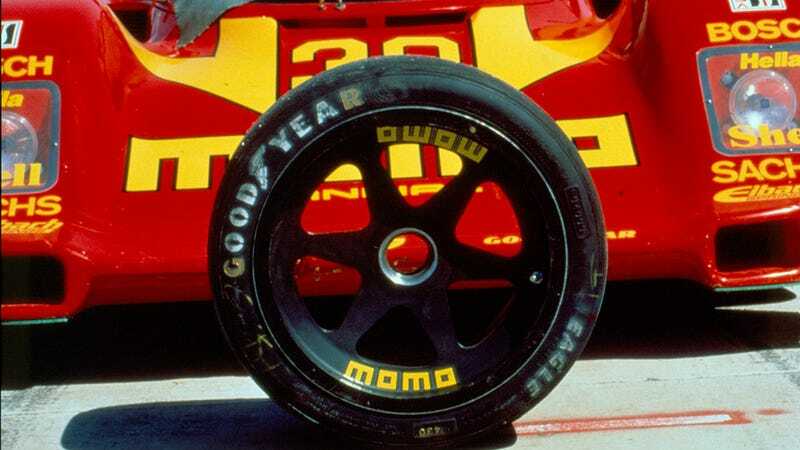 While the BBS mesh wheels were perhaps more representative of the era, the MOMO 6-spoke centerlock race wheel was a more attractive, and certainly simpler design. Inspired by this design, MOMO worked closely with Porsche guru Rod Emory to develop a road-going wheel for era-appropriate sports cars to provide similar visual cues. If you have an 80s-era Porsche, BMW E30 M3, or really any motorsport-adjacent car from that time, you need these wheels. They’re calling this new design the “Heritage 6” wheel. This wheel is forged in aluminum, but MOMO claims to have developed a dual-way flow-forming technique that “creates a rim area with similar strength and impact ratings to forged wheels,” while at the same time managing to be 15% lighter. That claim seems like it could be possible, but it’s odd that MOMO does not list any wheel weights to go with their sizing chart. Available in 17 and 18 inch diameters, these wheels are certainly going to be aggressive fitment for any 80s car lovers, and will require a shorter sidewall tire than usually looks the part. A 16 would likely be more era-correct, but tire availability is becoming more of an issue for those sizes. Unfortunately for any four-luggers out there, this wheel is at present only available in 5-lug patterns. With nine wheel color finishes available, eight different wheel widths, countless variations on wheel offset, and virtually any 5-lug bolt pattern, this wheel can be customized to your car’s specific needs. As with most motorsport designs, simplicity is the name of the game with the Heritage 6 wheel. A flat face, six simple spokes, a colorway matched center cap debossed with the MOMO stacked logo, and a bright yellow MOMO logo on the outer rim of the wheel shape; It doesn’t take more than that to put together a great-looking vintage wheel. I first saw this wheel in MOMO’s booth at SEMA last October, released in conjunction with an unveiling of Emory Motorsports’ fresh “356RSR” project, being built specifically for MOMO owner Henrique Cisneros. There will likely be more MOMO Heritage wheels coming to fill out their design portfolio, and I look forward to seeing them unveiled.